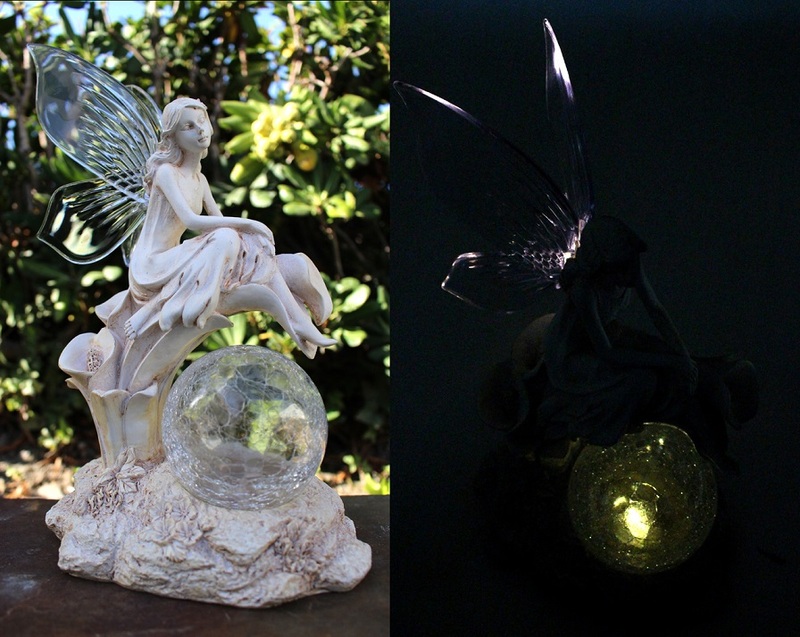 These elegant solar fairy light statues will add a colorful touch to any garden, flowerbed, deck or patio. 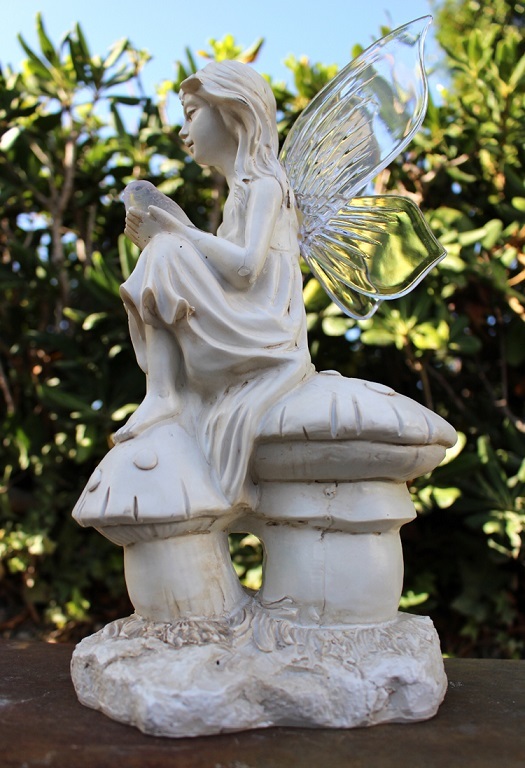 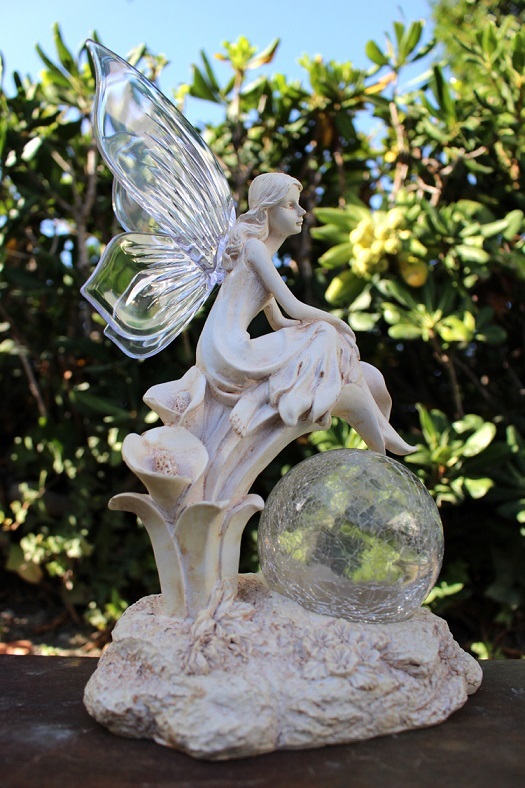 These beautifully designed polyresin style solar fairy statues will add charm to your flowerbed during the day and will provide a warming glow to enhance your garden at night. 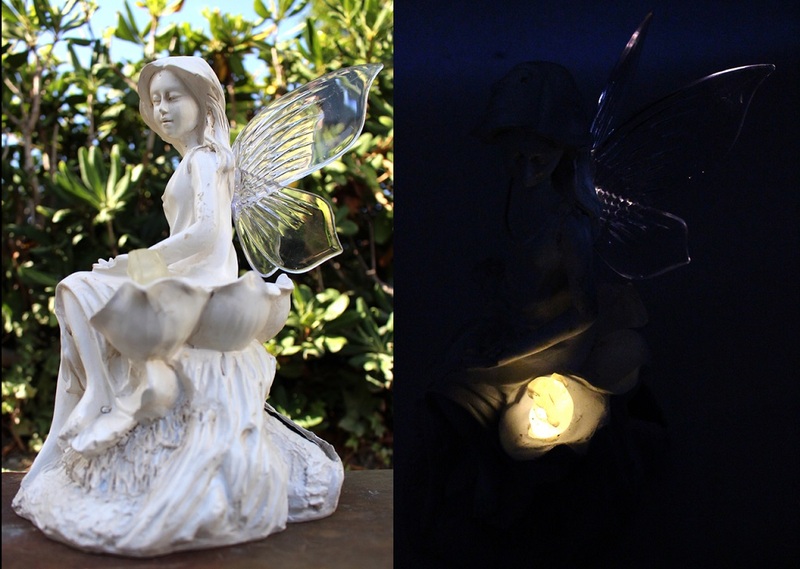 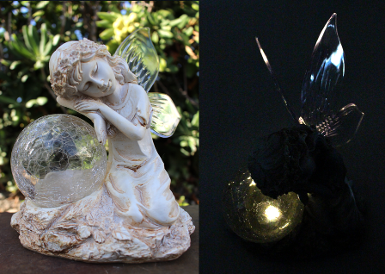 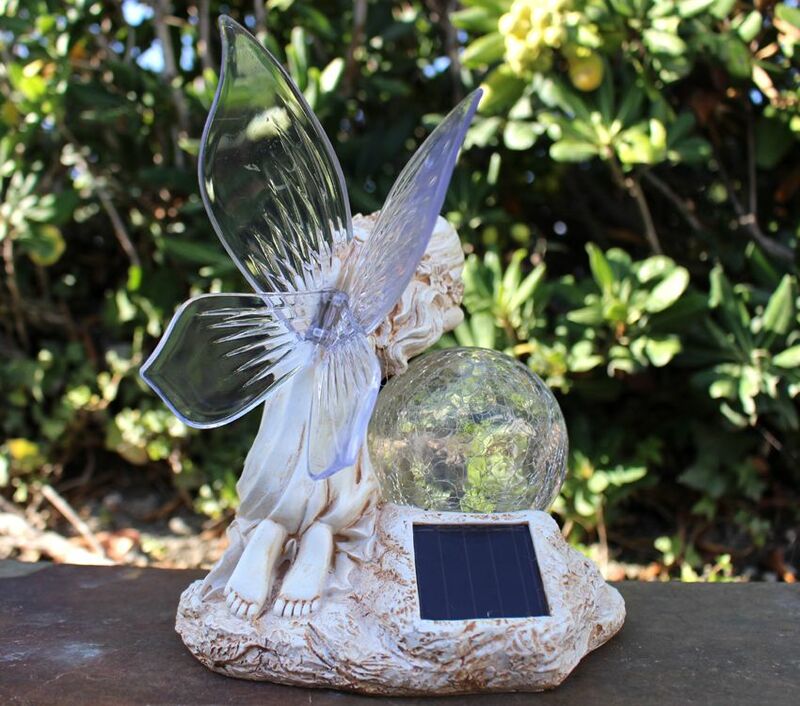 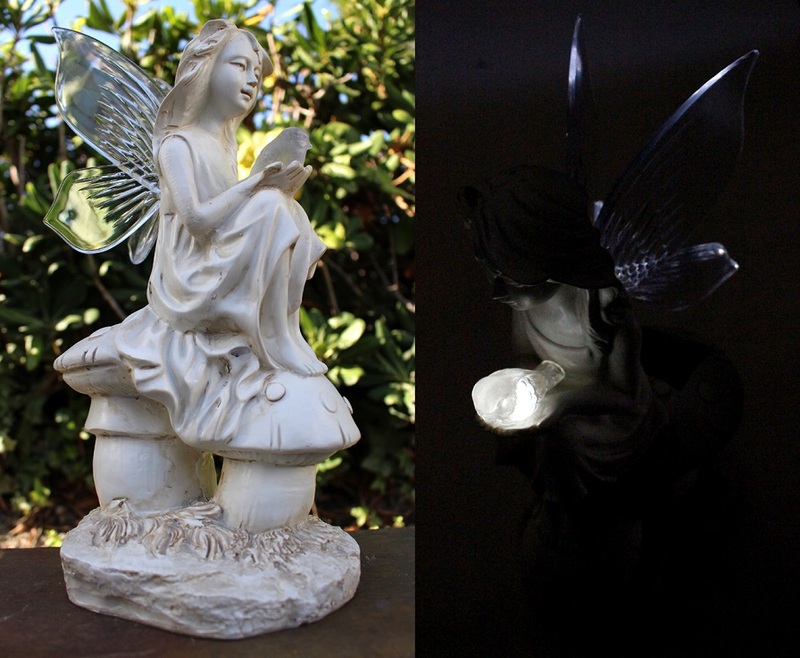 These solar fairy statues make a perfect gift for anyone that likes fairies. 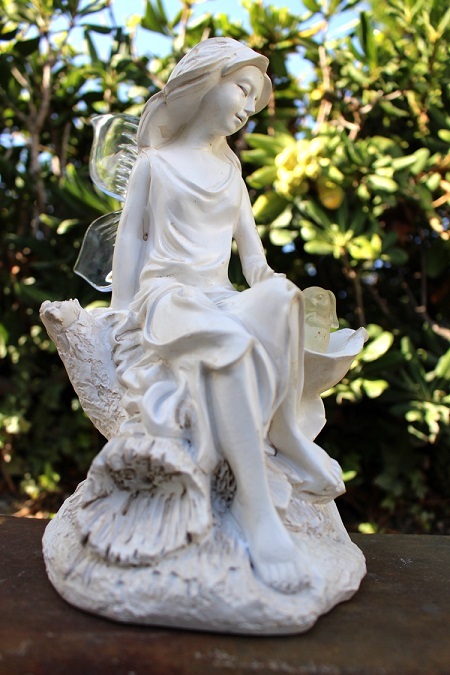 An automatic sensor turns the light on at dusk and off again at dawn, providing hours of bright light to safely illuminates any pathway, with little maintenance and energy. 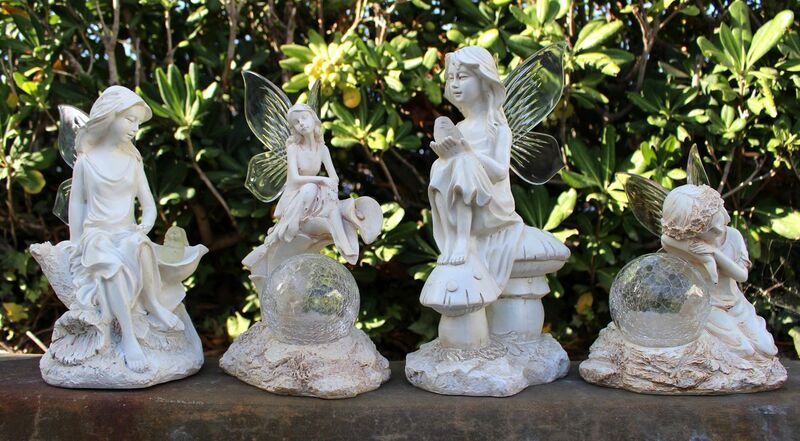 Styles: Fairy holding bird statue, Fairy with bunny statue, Fairy with crackle ball & calla lilies statue or Fairy sleeping on crackle ball.